Second Labor Day weekend in a row with the remnants of a tropical storm passing by and bringing rain on Market day. Last year it was Hermine, this year Harvey. What bit of rain that we might get will not slow us down at market and is nothing compared to what has happened in Texas. We feel deeply for the people in and around Houston, for what they are going through now and what lies ahead. We lived in Houston in the early ‘70’s and experienced several floods but nothing on the scale they have been through in the last week. Send help their way, whatever you can do. We have been getting quite a bit done in advance of the rain coming in today by picking all the peppers yesterday as well as planting yet more fall crops. The peak of fall planting occurs for us right around Labor Day, especially fall lettuces which all need to be in the ground by mid-September and if we get behind there is no catching up. With the days getting shorter fast, it is a matter of enough daylight to grow the plants to maturity before both the short days and cool temperatures bring growth to a halt. The rain will water them in nicely. Only three weeks until the Carrboro Farmers’ Market’s fall Harvest Dinner on September 21st. A fun community event and fundraiser for the market. Supported by over many local restaurants who each prepare a dish for the potluck style dinner. It is always enjoyable to visit with people not in the shopping scrum of Saturday morning over a meal. Get your tickets while they last! Watching the weather closely, it is the crazy season when the swings can be wild. Last Saturdays pepper roasting just about roasted me so we are happy to see much cooler temperatures for this weekend but not so happy about how tropical storm Hermine might affect us and market. Right now (Thursday morning) she appears to be heading more eastward but we could still see a lot of rain and windy conditions. The best guess is Saturday morning will be breezy but drying as the storm moves north. Another busy week with many fall crops going in the ground while we are slowly taking out some of the summer crops like tomatoes and some flowers. The weeks on either side of Labor Day are always the peak of fall planting by the end of September it is almost too late for most crops other than short season and cold hardy types like radishes, carrots and some greens. 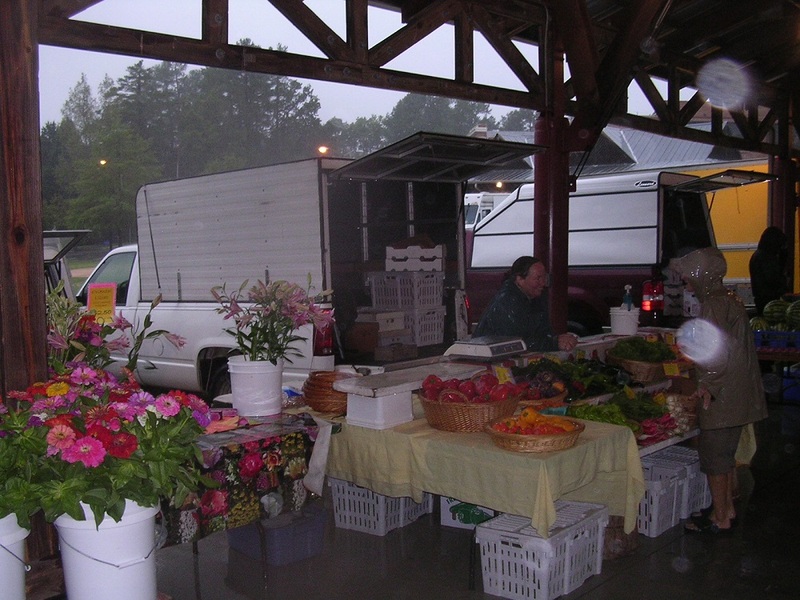 Only two weeks until the Carrboro Farmers’ Market’s fall Harvest Dinner on September 15th. A fun community event and fundraiser for the market. Supported by over two dozen local restaurants who each prepare a dish for the potluck style dinner. It is always enjoyable to visit with people not in the shopping scrum of Saturday morning over a meal. Get your tickets while they last!